This could be a tricky one to execute (how can you work with Kiss, Black Sabbath, Metallica, and adapt it for kids?). 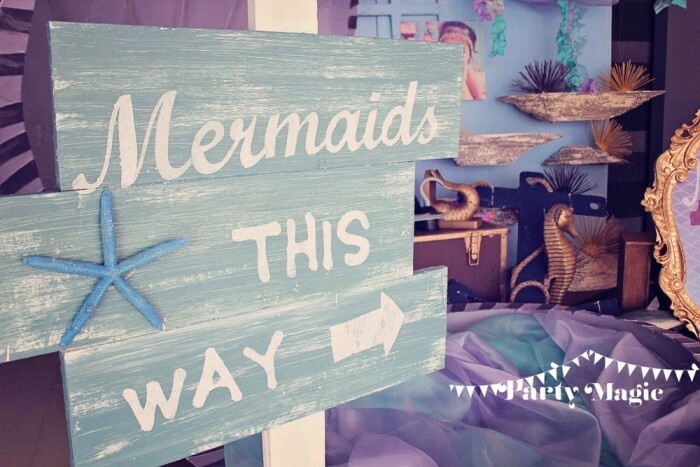 For the party we did for our client, whose 7 year old loves rock bands, we mellowed it down with the use of the colors teal, silver, and threw in some graphical elements that made the whole aesthetic more soft and playful. This is a truly unique theme though and can work in your favor, as long as you execute the details right. 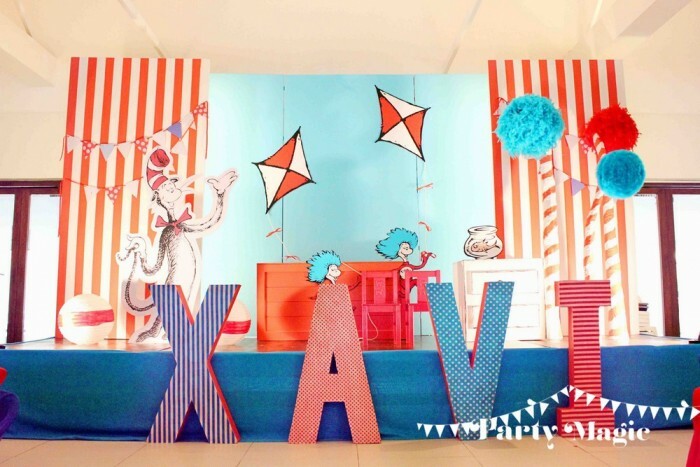 Name your favorite Dr. Seuss book, then make a party out of it. One of the parties that is very close to my heart (maybe because it was our first party), was an event I styled for the son of Christine Dychiao (blogger of Manila Fashion Observer). 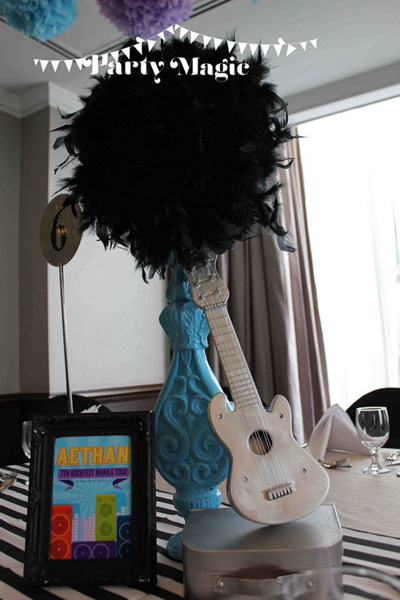 The party was centered around one of Dr. Seuss’ book, Cat in the Hat. And we made such a fun party out of it! 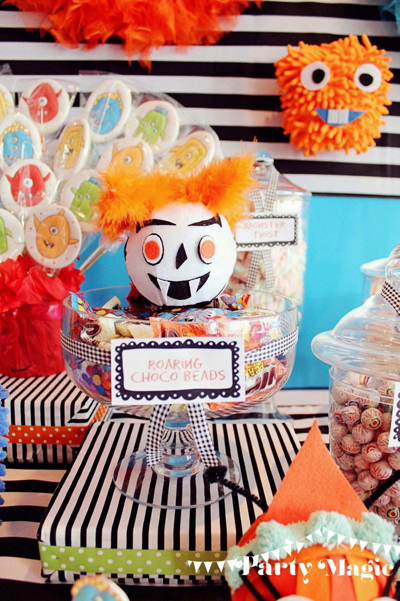 Here’s another twist: figure out you or your child’s favorite book, and do that for a party! Given that Ninjago is very popular nowadays with the young boys, why not make an awesome party out of it? 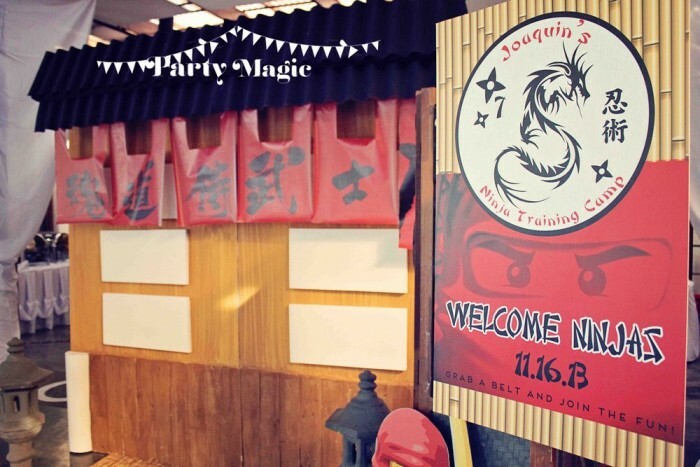 For this event, we transformed the client’s venue into a mini-Japan! The client gave out ninja headbands for each kid that registered. Here’s another idea – think about other popular children’s characters, games, TV series, and do that! Although the monsters theme might be more overused than all the other four themes mentioned, this is a very versatile theme that you can evolve and adapt to your own taste. For one of our clients, we decided to focus on making handcrafted little monsters that each have their own facial expressions and personality. When done right, these little critters really come to life! Try out different versions of this theme. How about: little monsters, monsters vs. robots, or monster jam (ie, monsters playing in a band)! hi.. my son is turning 9 this may and we already had reservation in funranch ortigas but now my son is insisting to have a starwars theme. but funranch doesnt have this theme. they will allow us to bring backdrops n set up the venue. so im hoping that someone can accomodate this theme for us.. kindly email me back if possible and also the price quote for the venue setup and a dessert table with it.. thank you.. I love the pictures!!! Where did you get the gold oval frame and the seahorses?